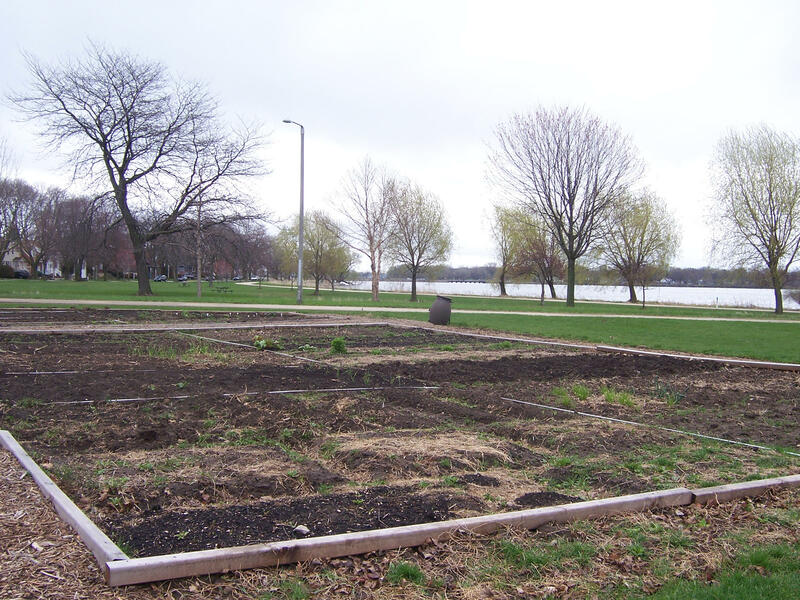 The Brittingham Community Garden sits on the shores of Madison's Lake Monona surrounded by a diverse, low-income neighborhood and expensive lakefront properties. Lake Effect material culture contributor Gianofer Fields interviews Chris Brockel, Executive Director of Madison’s FairShare CSA Coalition. A garden can grow flowers and food, but as one Madison neighborhood is finding out, it can also grow community. 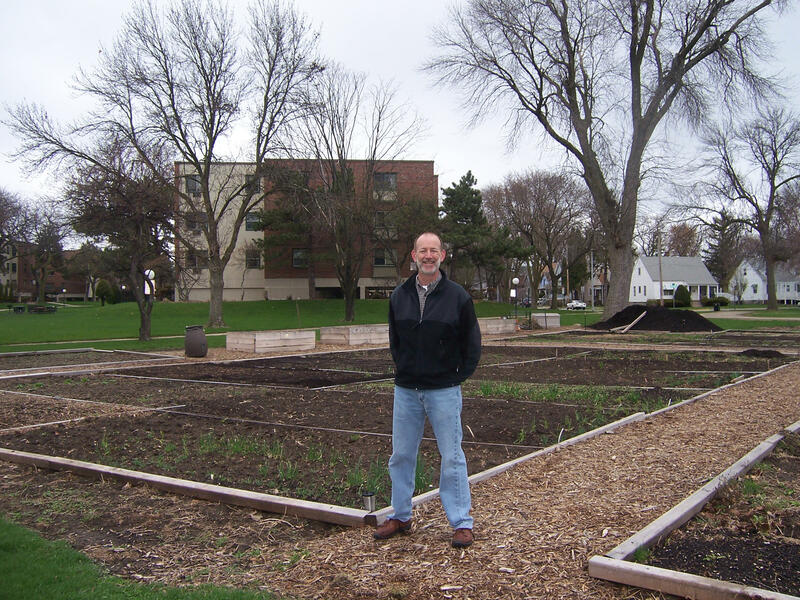 The Brittingham Community Garden is located in a park on the shore of Lake Monona Bay, in the middle of a once-divided community. It's surrounded by a mixture of student housing, expensive lakefront property and the Triangle Neighborhood, a primarily low-income and cultural diverse area. It's also situated on the west side of the four-lane Washington Avenue, a busy boulevard that's essentially become a barrier between the two halves of the area. Residents of the Triangle never used the park, and people from the lakefront properties never visited the Triangle. But recently a community garden was established to bring healthy fruits and vegetables to the area, which was lacking in a grocery and other opportunities for fresh foods. Through a grant, a farmer's market was established in Brittingham park, and the Madison’s FairShare CSA Coalition started working to get more low-income families involved in community-supported agriculture participation. The Coalition's Executive Director Chris Brockel says there was initially some push back from residents who feared the garden would obstruct their view of the lake and attract undesirables. However, what some believed would be a problem turned a disconnected neighborhood into a community. "When you're digging in the dirt, it's the great equalizer," he says. "It doesn't matter who you are, everybody's on their knees digging in the dirt and getting their hands dirty." The garden has now become a neighborhood focal point. Families often farm veggies from the rich black soil together, which Brockel says is introducing some kids to foods they never would have otherwise tried. "Suddenly it becomes not only do they choose to eat it and enjoy it, they start asking for it again and think also about their food choices," he says. While the garden teams with vegetables and plants, Brockel says the real growth has been in community involvement and interaction between the diverse cultural groups who live in the area. Those who have never been to the Triangle neighborhood are now going to garden meetings in the Triangle. "They've started to mix, started to see how other people live, and through that observation, are creating a great appreciation for each other," Brockel says. Gianofer Fields studies material culture at UW-Madison and is the curator of "It's a Material World" – that project is funded by the Chipstone Foundation, a decorative arts foundation whose mission is preserving and interpreting their collection, as well as stimulating research and education in the decorative arts.